BANGKOK, Thailand, Mar 14 2019 (IPS) - International Women’s Day on 8 March recognized and celebrated the progress women are making globally. The day also acknowledged the risks, exploitation and suffering many continue to endure. While smoking prevalence among females remains relatively low in Asia, smoking rates among adolescent girls in the Philippines, Malaysia, and Thailand however are higher than the rate among adult women respectively (9.1% vs 5.8%; 2.4% vs 1.4%; 5.2% vs 1.7%). Despite governments’ efforts to protect public health, tobacco use remains at epidemic proportions. This is no coincidence. The tobacco industry needs “replacement” customers to maintain and increase its profits, and women and girls are an important market segment which represent the largest product-marketing opportunity the tobacco industry exploits. Internal tobacco industry documents reveal that the tobacco industry has been notoriously targeting women and girls through their ads and novel products that promote social desirability, independence, sophistication, glamor, romance, and fun. Women and girls, especially in low and middle-income countries (LMICs), are smoking in greater numbers than ever before. The tobacco industry has been introducing new products framed as “innovation” by refreshing brand marketing devices and imagery to appeal to women and young girls. Through these product “innovation”, transnational tobacco companies (TTCs) introduce cigarette brands with new characteristics as flavored capsules and flavored filters and packaged and labelled with glitzy promotion. These so-called innovations are gimmicks on specific product designs including filters, capsules, flavors, shape, color and perceived product’s strength or mildness. • In Indonesia, Malaysia and Singapore, some cigarettes brands are in “Lipstick” packs. Female-targeted elegant slims or super slim cigarettes are also packaged in slimmer packs and influences beliefs about smoking and weight control – an important predictor of smoking behavior among women. • In Malaysia, Cambodia and Vietnam “Less smoke smell (LSS)” technology has been used to promote cigarettes designed to reduce secondhand smoke odor. • Kiddie packs (10 to 12 sticks) are also available in Indonesia and the Philippines. 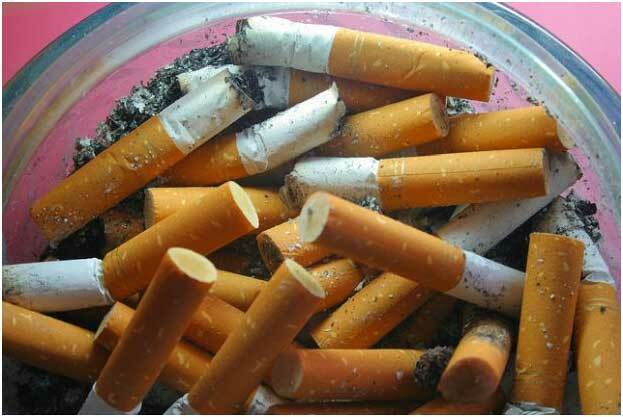 • Flavor capsules in cigarettes are becoming increasingly popular and increase attractiveness of smoking. Some cigarettes sold in Cambodia, Indonesia, Malaysia, Philippines, Singapore and Vietnam have capsule filters that can be crushed to release additional menthol or other flavoring. • Colors play an important role to enhance cigarette packaging and labeling to represent flavors and strength within brand families. The brand image is created by attention-grabbing designs and appealing colors to indicate flavors (such as strawberry, orange and apple) and communicate the false impression of lower tar or mild cigarette. Gold and silver convey ‘low-tar’, green for menthol and blue for ‘light’ or icy/cool. To divert public attention away from the harm and damage caused by the industry, the TTCs have been conducting public relations stunts about employment and gender equity. Philip Morris International boasted an ‘Equal-Salary certification’ it received, conveniently timed for International Women’s Day. TTCs routinely receive an obscure ‘top employer’ awards while simultaneously fighting smoke-free policies. According to the US Centers for Disease Control and Prevention (CDC), “a woman’s risk of dying from smoking has more than tripled and is now equal to men’s risk”. This means that women are also at higher risk for heart attacks, strokes, lung cancer, emphysema, and other serious chronic illnesses such as diabetes. A sudden concern for smoking is the new public rhetoric of the tobacco industry to justify a new range of so-called “less harmful” products such as heated tobacco products, while simultaneously selling regular cigarettes which form the bulk of their profits. The current sixty-third session of the Commission on the Status of Women (CSW) at the United Nations Headquarters in New York, (11 – 22 March) is expected address women empowerment and their vital roles as agents of development in making progress across all Sustainable Development Goals (SDGs) and targets. 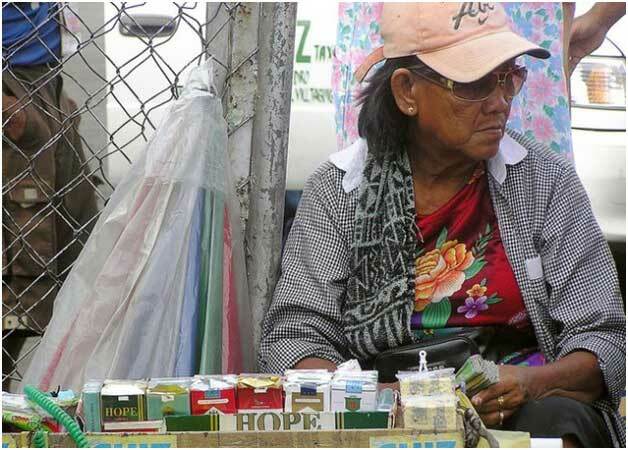 It is timely to discuss the tobacco epidemic among women especially in the LMICs and the concerted effort governments must make to curb this scourge. Preventing an epidemic of tobacco-related diseases among women in the LMICs is one of the greatest public health opportunities for governments of our time. The global health treaty, WHO Framework Convention on Tobacco Control (FCTC) has been explicitly identified as a means to achieve the SDG health goal. Steps governments should take to prevent this epidemic include banning tobacco advertising and promotions such as pack displays and applying plain packaging which requires cigarette packs to be sold in a standardized size, shape, and drab brown color, free of any logos or images. In September 2019, Thailand’s legislation on standardized packaging of tobacco will take effect and Singapore will follow soon. Standardized packaging removes the attractiveness of tobacco products and reduces the ability of tobacco packaging to mislead consumers about its harmful effects. Other equally important actions in the FCTC include increasing tobacco taxes and making public and work places 100% smoke-free.